So excited by this news! just a quickie post with the deets guys. 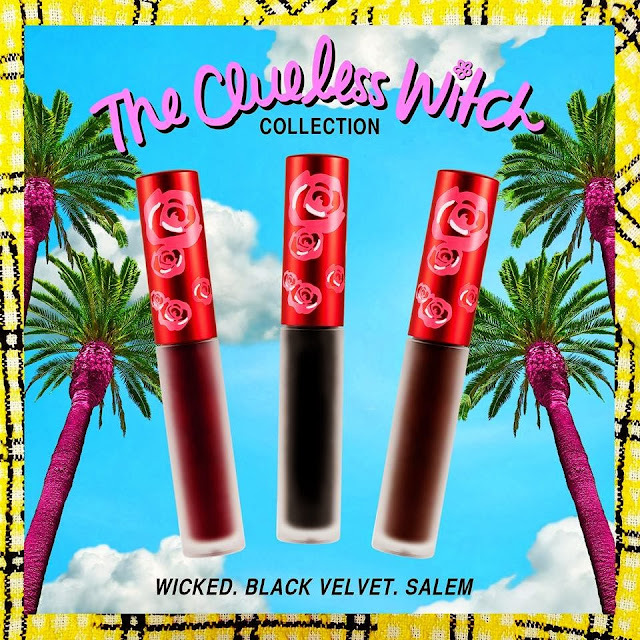 Lime Crime announced that they were launching a range of Goth-a-tines in March. The line is suppose to be influenced by our generations favourite movies; The Craft, Coven and Clueless. Following on from their mega-top selling Velvetines this range is darker, more sultry but still leaves you with that highly pigmented super soft matte pout. You really can't beat the formula can you? There's no swatches or PR pics yet because they'll be previewing the range only at the IMATS L.A (So wish I was going) If you are they'll be in Booth 129. There's three shades in the range which are Wicked (deep dark red), Black Velvet (black) and Salem (chocolate brown). You've probably also guessed that the March launch date is in fact purely for USA customers but I'm hoping they'll come over here - SOON. In the mean time you can get your UK Lime Crime fix from these three retailers. I extremely like these types of posts which are composed in basic written work with the goal that everybody can understand it, and everybody can understand what message authors needs to pass on. The style of your is exceptionally one of a kind however straightforward what you need to say in this discussion. Don't hesitate to visit top thesis writing service for any ruler of paper composing. You're the best to share. It is more useful to everybody. Education contain diverse task like exposition, task, research paper writing and a significant number of the student can't finish their assignment effectively inside the time.